Do you love Growing Up Herbal Products? If so, would you like to make extra money by telling people about them? 40% Commission! 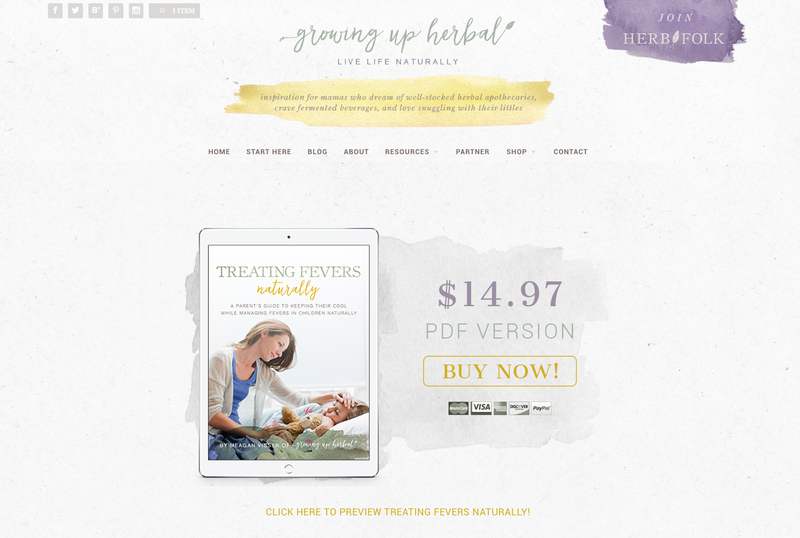 Earn a 40% referral rate commission when someone purchases an ebook from Growing Up Herbal when you send them this way through your personalized link! Running a blog is hard work. Don’t get me wrong. I love sharing all I know with my readers, but it isn’t always sunshine and roses. I can use all the help I can get. I’ve spent hours and hours producing quality content for my readers and now you can partner up with me and benefit from my efforts too. E-junkie is who I use to run my affiliate program through. If you are already familiar with the E-junkie system, you can join my program, download banners and view payout dates. Now that you’ve joined the Growing Up Herbal E-junkie affiliate program and linked your account to mine, you’ll want to create Image and Text links so you receive credit for others’ purchases. Below you’ll find the link to the Growing Up Herbal Flickr account. Here you’ll find web optimized images that you can use to create image links to Growing Up Herbal products on your website, social media page, email promotions, etc. IMPORTANT: Please DOWNLOAD the Flickr images to your computer and UPLOAD them to your website to be linked to there. Instructions on how to do this will be below. This will help keep our product pages loading fast for your readers and will lead to more sales! Yep, fast product page loading speeds increase sale conversion rates (more info). Click here to access images to Growing Up Herbal products via Flickr. To download images from Flickr to use on your web page, social media, or email promotions, see the following steps. Click the image you wish to save to your computer. You will see it pulled up into a lightbox by itself. Right click the image and select “original” from the links available. You will then see the original image on the screen along with several different size options you can choose to download in. If you’d like the image in a different size than what’s available, move on to #3 to download the image, and then resize it in a photo editing software like picmonkey.com. Once you’ve selected your size, right click the image and select “save image as” to download to your computer. Once you’ve uploaded any banner images you’d like to use to your website, you’re now ready to create your affiliate links to receive credit for other people’s purchases. You have several options for creating your affiliate links below depending upon what you’re looking for. This link will take your readers directly to the product sales page of the product you are promoting. My product sales pages will help readers learn the specifics of my products and will allow them to make the purchase. This is the most effective type of link for promoting specific Growing Up Herbal products. Login to your E-junkie account > click the “Get Affiliate Code” link. 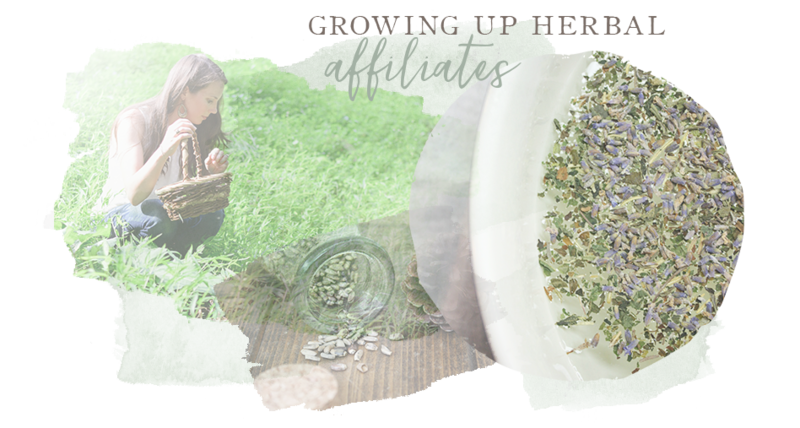 Set the “Select Merchant” drop-down to “Growing Up Herbal” > click the “Get Affiliate Code” button. Set the “Get Product Specific Affiliate Links” drop-down to the product you wish to promote > click the “Get Affiliate Code” button. Copy and paste the embed code in the “Hop Link Code” section into your webpage. Change the inner text of the link from “Click here to view more details” to whatever you want it to say. The Shop page will direct you to my books. This is the page you want to link to… the “My Books” page. The “My Books” page displays a list of all the Growing Up Herbal products I’m currently selling. If you want to link to all of my products at once, without specifying which one the user should be interested in, this option is available to you. If you want to promote one specific product, go back up to the “Link To A Product Page” section. Copy and paste the embed code in the “Get Common Affiliate Hop Link” field into your webpage. Change the inner text of the link from “Click here to visit Growing Up Herbal” to whatever you want it to say. The most important part of your affiliate link, the part that redirects users to where you want them to go and gives you credit for what they purchase, is what is in between the quotes of href=”_” element where the underscore is located in purple. You can use this link in your webpage, email promotions, social network posts, etc. The ###### areas are where the product numbers and your affiliate ID numbers will be located. Everything in between the quotation marks (” “) needs to be copied and pasted exactly as it’s written in e-junkie. Images help drive traffic to Growing Up Herbal products. In order to add an image to your affiliate link simply replace the inner text of the link to point to your image’s URL. Adding in the <img src=””/> section is what will add in your image. You may shorten your affiliate links, the part inside the href=”_” element, through services like bitly.com in order to reduce the size of the link when posting to sites such as twitter.com. Now that you have your personalized links it’s time to get your ads online. But where do you put them? How do you get people to see them and click on them? Here are some suggestions to help get you started. Write a blog post review of your favorite Growing Up Herbal product. Honest, well-written reviews with affiliate links embedded in post text and images will help your readers to understand why they might find the products helpful for them as well. Posting affiliate links on other peoples’ blogs is typically bad taste and not recommended. However, when your readers leave a comment on your blog you can often find a valid reason to add your affiliate links as part of your reply to their comments. You can put affiliate links in the text and image links of your email messages. You can casually mention (and insert your affiliate link) into the body of an email to friends and family. Or, formally send out an entire post complete with images and text ads telling your customers, blog subscriber, etc. why you love a particular Growing Up Herbal product. Note: For mass mailings, you must have the permission of your contacts to send them bulk mailings in order to send them Growing Up Herbal promotional materials and affiliate links. Another great way to include affiliate links in your emails is to include and image with your affiliate link in the signature section of your email. If you don’t want your full affiliate link to show up in your email, you can always shorten your links using bitly.com. Do you participate regularly in groups or forums? If your forum allows it (be sure to check the forum’s rules and regulations), post links to Growing Up Herbal products that address the needs of your forum members, or include it in your forum post signature. Facebook, Twitter, Google+, Pinterest and other social media sites are great for sharing about the things that interest or have helped you. Post your affiliate links and a brief testimonial about what you like about the products when you post your affiliate links and images. Be sure to be friendly, conversational, and not pushy. Above all, always be helpful! Putting and leaving banner ads at the top and sides of your website are easy ways for people to see (and find your link for) Growing Up Herbal products. Readers often follow interesting links coming from the people they trust and can lead to sales that happen at any time of day – even while you’re sleeping! Do you have a video channel on YouTube, Vimeo or other social video account? Post your affiliate links in your video descriptions and as overlays on the video itself to drive traffic for your favorite Growing Up Herbal products. This is especially helpful if your video is a review about a Growing Up Herbal product. When you post image ads as a banner or sidebar on your website, you typically don’t need any text with those image. However, including text links in blog posts, emails, and social media posts often require you to say something about the product. Below are some suggestions on what to write about to get your reader’s interested enough to click your affiliate link within your text. You’ll do great! Most importantly, put your reader first, be honest, be direct and be excited! Don’t be afraid to use your links repeatedly in your text. The majority of sales happen after a person has been exposed to a product several times. Maybe try sharing about what has interested you in an ebook one subject at a time. 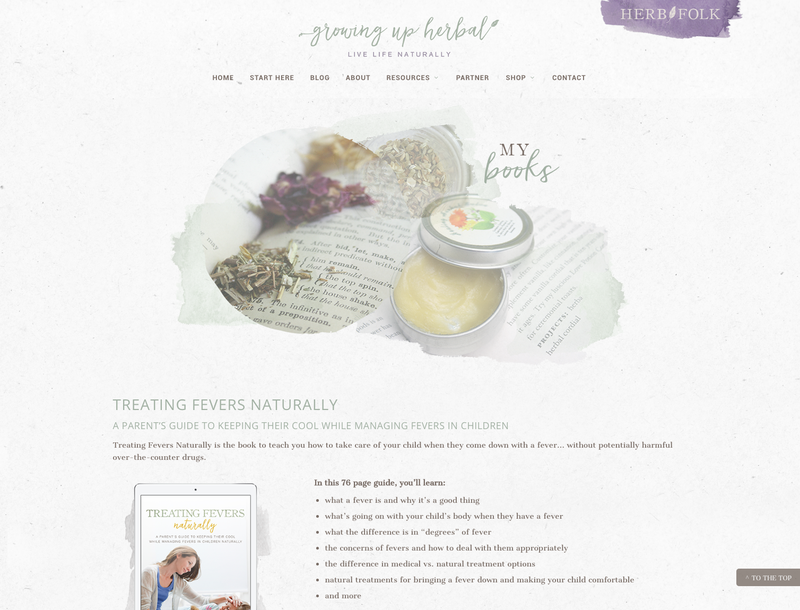 For example, you could talk about what the chapter on understanding degrees of fevers in Treating Fevers Naturally has meant to you one day, and then post a testimonial about how you dealt with your child’s last fever using this book the next. This is especially important on Facebook as only about 10 percent of your followers will see any given message that you post. Can I change the size of your ads to fit on my website? Yes. As long as you don’t change the intention and purpose of the ad, go for it! Please refer to the page on how to download banners for more information on sizing adjustments. Many affiliates are incredible promoters, and I welcome their expertise in this area. If there’s an unmet need of your readers that’s addressed by my products but not by my ads, feel free to go ahead and make an ad and affiliate link for it. Before you create your own ads for my products, consider this. I provide several different ads for each of my products on the download banners page to increase brand recognition across all our affiliates’ websites. Readers who see an ad multiple times are more likely to click on it. This means your chances of someone clicking on one of your ads (and your getting credit for the sale) is increased when you and other affiliates use the banners I’ve provided. Can I put “Buy Now” or “Add To Cart” buttons on my website? No. In order to receive a commission payout, you must direct visitors to GrowingUpHerbal.com for purchases. Putting “Buy Now” and “Add to Cart” buttons on your website for my products is not allowed. This avoids buyer confusion and will save you headache should your readers start to email you asking questions. It’s simpler and easier on us all if everything is directed towards GrowingUpHerbal.com. Do I have to tell people I’m an affiliate? Do you monitor your affiliate program for abuse? Absolutely. I monitor my affiliate program for inappropriate and fraudulent behavior. If necessary, I will suspend or revoke affiliate privileges if I feel I must.